Fruit pulp is the puréed flesh of the fruit. The fruits are chopped and the fruit pits, seeds, and other non-edible parts removed. The product is then blanched, passed, degassed, and finally pasteurized and stored in aseptic tanks having a capacity of 30 – 100 tons. 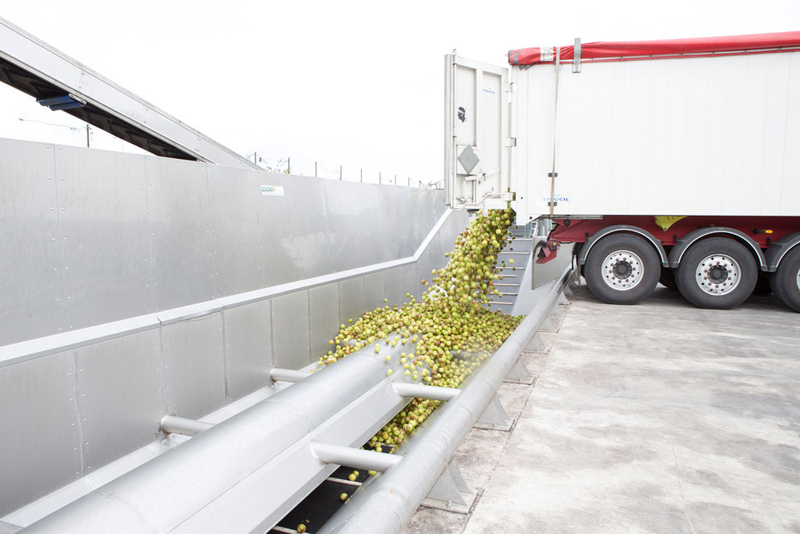 The latest fruit processing lines can process 40 tons per hour of fruit. Modern passing equipment guarantee a high throughput of uniform, appealing, highly viscous fruit pulp without visible residual seeds or skin (which could result in brown dots in the purée). Fruit pulp can be manufactured in various different degrees of fineness, e.g., pears can be reduced down to 0.4 mm for nectar in Tetra packages or to 0.5-0.6 mm for filling in bottles. A new degassing and pasteurization technique minimizes the thermal stress; the fruity freshness is preserved. We will deliver to you the kind of fruit pulp best suited to your requirements. The scrubbed, sorted fruits (apples, peaches, pears, kiwis, etc.) are chopped up and, if needed, treated with enzymes for better dejuicing. They are then gently dejuiced using pneumatic cylinder presses. In order to prevent enzymatic discoloration, the resultant juice is degassed and pasteurized. Depending upon the customer’s wishes, in the case of naturally turbid juices, we adjust the level of turbidity. The resultant naturally turbid liquid is converted to naked juice by means of the enzymatic decomposition of pectin and starch and the subsequent extraction of the turbid components using gelatin and bentonite or by means of ultrafiltration. Naked juice can be employed as direct juice for high-quality beverages or as juice concentrate (with a Brix of 65-70) for various different purposes. In the case of Alpenfrucht, the juice is concentrated gently, in a multi-stage plant. The fruit concentrate can also be refrigerated and stored for special purposes. The visual and sensory characteristics of the freshly-made fruit juice concentrates are thus preserved for a long time.